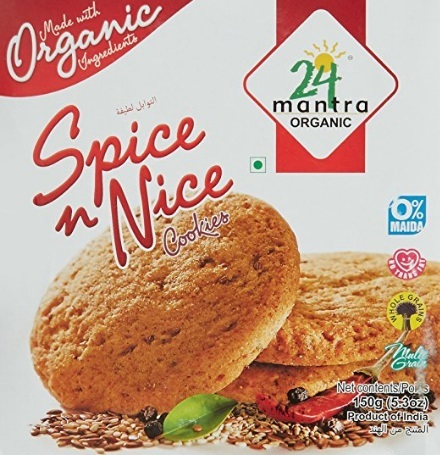 Amazon offer 24 Mantra Organic Spice N Nice Cookies, 150g worth Rs. 90 for Rs. 55 only. 24 Mantra Organic Spice N Nice Cookies, 150g 40% Discount on Amazon. Rich in magnesium, iron, manganese, potassium and phosphorus. Its germ part is rich in vitamin E that gets absorbed well by your body. It improves health, support farming, nutrition, advocate for our environment and sustain our economy. All products of 24 mantra are 100 percent organic certified.